has been developing and producing benchmark products for 30 years. Our systems, operating in all areas of textile finishing, have improved both quality and productivity. Furthermore the production data logged by our systems, plays a key role in helping management not only to make the right decisions but also to achieve appropriate company certifications. Using our systems to enable the latest production methods can help our customers avoid wasting water and power thus reducing both bills and CO2 emissions. 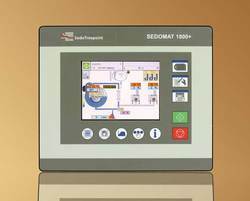 The new Sedomat 1800+ gives a better user experience by offering a modern design and user-friendly interface. Now being water-proof to IP67, it guarantees high quality and reliability for rugged environments. Having RFID support, it offers new possibilities in data acquisition. Running on Windows CE operating system makes it the ideal choice for an industrial environment. The internal I/O of the Sedomat 1800+ can beconfigured to meet exactly the requirements of yarn, fabric and other types of dyeing machines with different degrees of complexity. Connection to the SedoMaster central management system. Integration with chemical dispensing and automation of dye kitchen. Support of different languages and character sets, e.g. Chinese. Linear, progressive and degressive dosing curves. 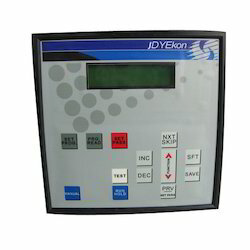 Control of temperature, speed, pH, flow, pressure, etc. Can be used as data acquisition terminal. Data logging via cloud services. RFID support for e.g. operator logon/logoff. The configurable internal I/O matches the requirements of different types of dyeing machines. PC based: built around a high performance state of the art PC-CPU board. Color touch screen: intuitive user interface, easily adopted by operators. Any function (heating, filling, etc.) can be activated by just touching this function on the screen. Push buttons on screen replace push buttons on panel. USB interface: for inexpensive devices like memory keys, (copy/save programs) and other PC peripherals. Internet technology (integrated web server): for remote access from any PC in the plant network. Windows CE: robust operating system tailored for industrial applications. Ethernet TCP/IP network: link to SedoMaster and communication with other dye house systems. OPC: OLE for Process Control: integration with supervisory systems. Internal PLC and PC programming tools for 100% adaptation to the features of your dyeing machine. USB for memory key and other PC peripherals. The productions of the Dyeing Machine Automation we manufacture and distribute, involve use of high quality raw materials and passing the product through a number of quality checks in order to provide the customers optimum satisfaction and high quality goods. These programmers are used for the automatic operation of the main vessel as well as the color tank. The time temperature profile in the controller helps control the rate of rise and fall during thermo regulation. Highly durable and in demand, we offer these programmers at a market leading price. The new Sedomat 2500+ gives a better user experience by offering a modern design and user-friendly interface. Now being water-proof to IP67, it guarantees high quality and reliability for rugged environments. Having RFID support, it offers new possibilities in data acquisition.Dye process control has never been easier than with the compact Sedomat 2500+. This instrument combines a friendly color touch screen interface with internet technology, USB connectivity, and many other cutting edge features. Running on the Windows CE operating systems, it is the ideal choice for an industrial environment. The onboard modular I/O of the Sedomat 2500+ can be configured to exactly meet the requirements of yarn, fabric, or other types of dyeing machines with varying levels of complexity. By simultaneously executing two batches and several functions, the next batch can be prepared, while the current batch is still active. Storage of a virtually unlimited number of dyeing programs. Logging of temperature curve, functions, alarms, etc. Visualization of process information on Sedomat 2500+ or on a remote PC. 1 controller for all dye machines. The configurable internal I/O matches the requirements of different types of dyeing machines. Profibus DP interface (option): to link remote I/O modules (e. g. SedoIO-P, Profi 16 and Profi 32), invertors, etc. 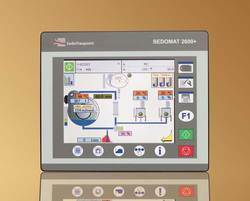 The new Sedomat 2600+ gives a better user experience by offering a modern design and user-friendly interface. Now being water-proof to IP67, it guarantees high quality and reliability for rugged environments. Having RFID support, it offers new possibilities in data acquisition. Dye process control has never been easier than with the compact Sedomat 2600+. This instrument combines a big 8.4” color touch screen interface with internet technology, USB connectivity, and many other cutting edge features. Included is a dye program management system, data logging and visualization system. The machine adaptation can be easily made with the integrated PLC. The onboard modular I/O of the Sedomat 2600+ can be configured to exactly meet the requirements of yarn, fabric, or other types of dyeing machines with varying levels of complexity. Logging of temperature curve, functions, alarms, etc. Visualization of process information on Sedomat 2600+ or on a remote PC. The new Sedomat 5500+ gives a better user experience by offering a modern design and user-friendly interface. Now being water-proof to IP67, it guarantees high quality and reliability for rugged environments. Having RFID support, it offers new possibilities in data acquisition. The Sedomat 5500+ is the most powerful instrument in the Sedomat controller family. 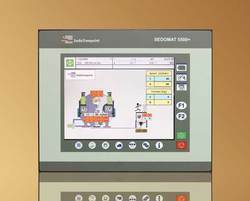 With a large and easy to use touch screen the Sedomat 5500+ offers high performance ideally suited for the automation of complex dyeing machines. Active parallel functions are virtually unlimited, reducing process time through optimized control of machine parts such as tanks and dosing stations. The ideal choice for a manufacturing environment, internet web browser technology running on the Windows CE operating system means the Sedomat 5500+ can be controlled remotely from any PC on the factory network. Standard interfaces including Ethernet and USB make physical connection easy and simple. The modular I/O of the Sedomat 5500+ is easily configured match the exact requirements of all types of dyeing machine (yarn, fabric, jigger, dryer, etc.). Logging of temperature curve, functions, alarms, etc. Visualization of process information on Sedomat 5500+ or on a remote PC. • Windows CE: robust operating system tailored for industrial applications. Profibus DP interface: to link remote I/O modules (e. g. SedoIO-P, Profi 16 and Profi 32), invertors, etc. We being one of the leading manufacturers and distributors, consider it our priority to produce high quality Dyeing Machine Programmer. We produce these products using high quality raw materials and further send them for a number of quality checks in order to provide our clients with optimum satisfaction. These products have time temperature profile for the purpose of managing the rate of rise and fall during the process of thermos regulation. These programmers have feather touch keys to make the working process easier. 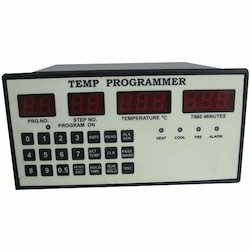 The automatic operation of heating, cooling and pressure makes it a highly demanded programmer. We provide these products at a very competitive price. Looking for TEXTILE DYEING MACHINE AUTOMATION SYSTEMS ?